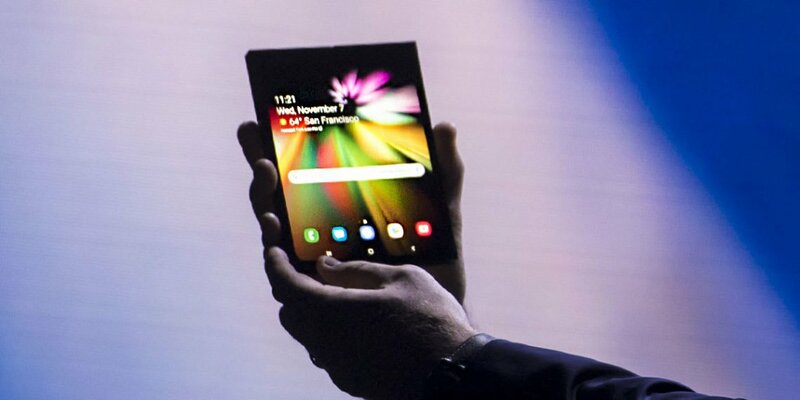 Samsung previewed its first foldable working phone at a Samsung Developers Conference in San Francisco. Its nameless Galaxy brand (often referred to as Galaxy X) onstage, was at a respectable distance for close inspection. 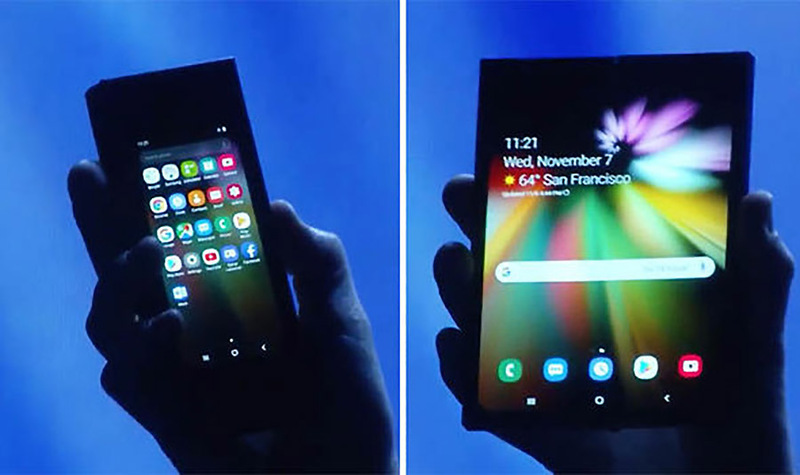 Justin Denison, Samsung senior vice president of mobile marketing, showed off the phone – a 4.58” screen which opens like a book to a smooth 7.3 inch OLED display tablet with an impressive 421dpi screen density. It uses Samsung’s new Infinity Flex Display and One UI an entirely new mobile platform. When opened to a tablet, the front glass touch display goes dark and the tablet mode brightens up across a seemingly smooth working screen. Apps you start in one mode will continue to run in the other mode. The new Flex screen is designed to be resilient and tough. Denison said it is designed to open and close hundreds of thousands of times. It’s expected to have similar battery performance and memory configurations to today’s phones. It will be able to run three active windowed apps, using new Multi-Active Window technology instead of switching back and forth in today’s smartphones. Since there were no hands-on or closeup display views it was hard for attendees media to access how smooth and seamless the unfolded tablet was. Obviously, it will have to be pretty stretched out and smooth when you run your fingers over it. Like the real thing. 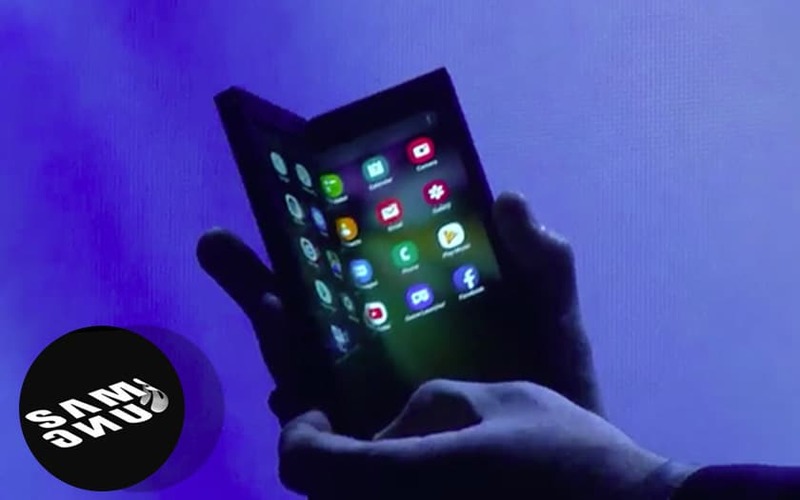 Samsung’s prototype foldable model event was preceded earlier this year with a similar fully working flexible model, Royole’s FlexPai and available (mostly aimed at developers) for sale in two memory configurations. It runs with its own proprietary OS on top of Android. Yes, it too is as awkwardly thick and closes tablet-to-phone mode leaving the entire tablet screen on the outside like a book cover. In his short demo, Denison assured the developer audience that there was a stunning device under the boxy Galaxy X shell. In this business, it’s not who makes the “first” new cool device. It’s who makes one that not only works, but has the design, aesthetics, flawless operation and thinness, to mention a few. With all due respect to Royole, who has marketed hats and shopping bags with embedded flexible screens, at IFA Berlin in September, the challenges of a commercially and consumer successful foldable phone/tablet are likely to be met by a company who has been making cutting edge (include edge screen) devices for the past decade and that is Samsung. Not to mention a gigantic marketing budget. The Korean giant already has Google’s support and an aggressive developer forum. Undoubtably it will be a cool device, six years in the making. Kudos to Samsung. Is it for you? New technology often pulls at your wallet, not your common sense, because it’s there. Many new tech products launched with much fanfare in the past only to fizzle out. Microsoft’s ill-timed Tablet PC with stylus which launched in 2002 was ahead of it time. Too early as a consumer must have, and pricey and small screened for business users. Will the Galaxy X be marketed as a must have for consumers or a niche model for enthusiasts? How will the two billion active Android phone users react to such a technical masterpiece? Samsung’s tick-tock strategy of alternating between two flagship phones, the S and stylus equipped Note phone series every six months sounded like a good plan for marketing two great phones a year. But the most excellent Note9 I love and use, in its ninth generation, has not managed to escape its niche category with lower sales numbers compared to the S series with flexible features and pricing. Most consumers are used to what they have in smartphones. Almost all end in pockets and all work the same. 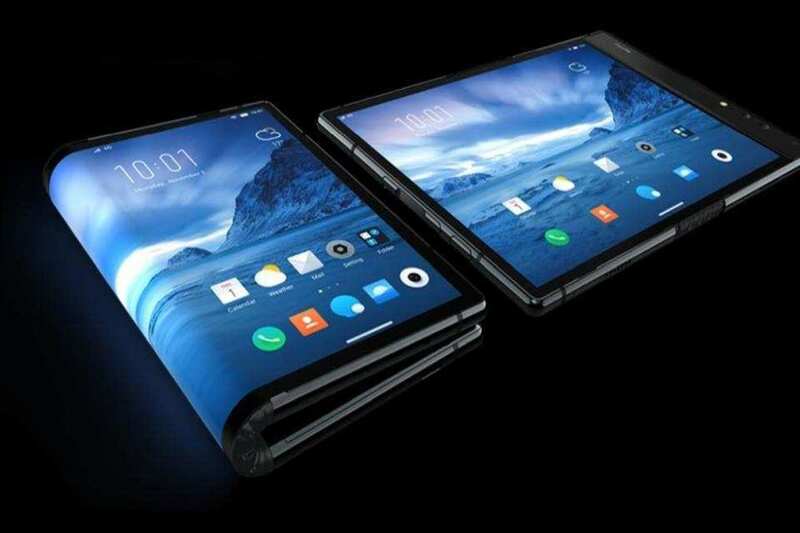 But will you buy a new foldable phone/tablet if you don’t care for a regular tablet, like me, at a fraction of the price? Will paying twice the price of your phone for a likely thicker device, that needs two hands to use, be attractive enough to be a big winner? But times change. Last month Adobe and Apple announced the first full release of Photoshop at Adobe MAX coming out early next year for the iPad Pro. They also announced Project Aero, a tool that enables creators to design AR experiences, and Project Gemini, a drawing app. As well as Premiere Rush CC, the first all-in-one, easy-to-use video editing app for social media creators. 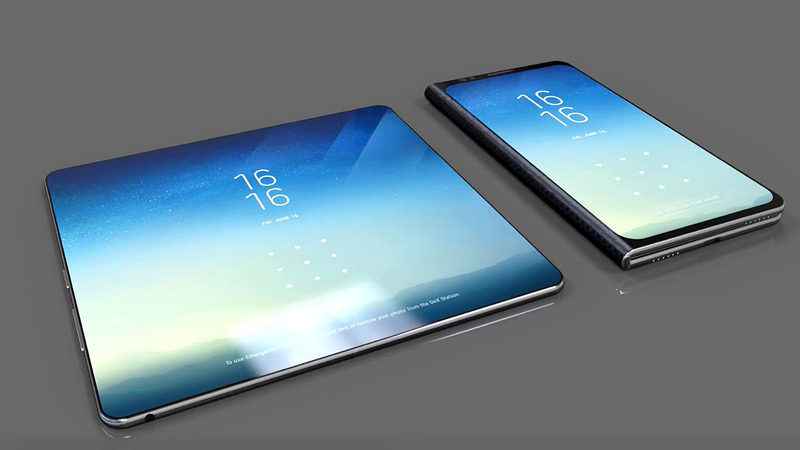 No doubt, the final Galaxy X will be a showcase of technology. Is this Samsung’s way to excite a market smartphone slowdown? Will they push the right design buttons smoothing the awkwardness of the Galaxy X demo? Are we ready for it? Can’t wait!